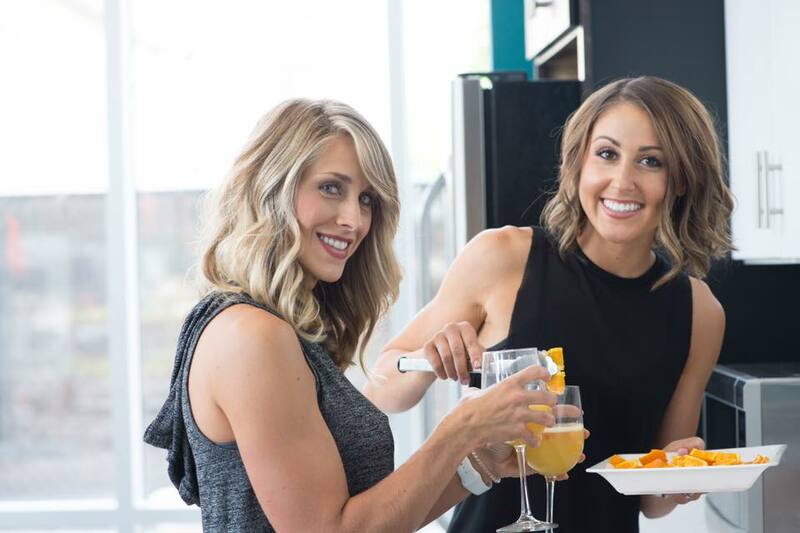 Fit Mama is comprised of Cari & Bailey Oschman, two women who are passionate about educating new moms on how to live a realistic healthy lifestyle. They want to educate new moms what it means to live a healthy lifestyle while still having time and energy to have the family that they’ve created. They have helped new moms all over the world learn and implement healthy habits so that they can live a happy life. Using their 30 Day Nutritional Program, they’ve completely changed their clients view of nutrition because they’ve created an easy to follow guide for busy moms. Cari & Bailey reached out to me for a few reasons: they wanted to rebrand their business to something that they could grow with. They also wanted to create a product that they could sell to give new clients a taste of their services. They lacked a brand that was consistent among all of their social media channels. Nothing to offer potential clients as a mini-product to showcase their expertise. Without a sales funnel, they weren’t sure how to grow and make money in their business. Without a launch strategy, any product that they could sell wouldn’t reach their potential. As someone whose passionate about fitness, I absolutely loved what Fit Mama was all about and wanted to make sure I set them up for success, even after our work together was complete. We created an identity that was aligned with Fit Mamas mission and voice. To communicate their message effectively, we did a complete rebrand to align their values and their visual brand. We created a sales funnel that was easy to implement and keep up to expand their reach and grow their business. We created a product that could generate passive income, but also generate new clients for years to come. What’s next for Fit Mama? A email sequence to get new subscribers to build interest in their business and to craft their story with their audience. Email marketing focuses on story telling - how can Fit Mama educate their audience, give advice to new moms who might not be able to afford them right now, and sell their products? Email marketing is the best tool to reach audiences on a regular basis. To make the most impact as possible, we would create a 3-5 day sequence, because newsletters are more likely to be opened in a 24-48 hour period. A branded template and a email strategy to sell a introductory digital offer online creates more long term success for any business. With Fit Mama, we would prioritize educating new moms and giving them the resources available to them to help make a change in their lives, and lead them to working with Cari & Bailey. Focusing on email marketing strategy puts any business in control of their income for years to come. Are you ready to grow your business and make an impact?